Looking to get a new ride? Our selection of used vehicles is an excellent option if you are looking for a quality, inexpensive vehicle. We have a wide variety of cars, trucks and vans. 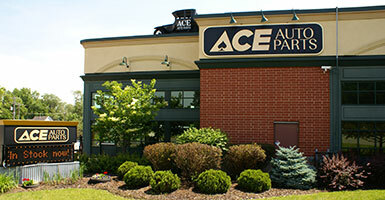 Stop by and check out our cars. Every one has been inspected by our in-house mechanics and is ready to go! 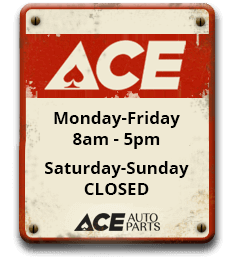 If you have any questions, just ask any Ace Auto Parts employee and he or she will be happy to assist you! If you’re interested in a vehicle, our sales associates will help you with any questions. If you’d like to take the car for a test drive, all you have to do is let us make a copy of your license, and have some type of collateral. If you don’t have any collateral, one of our sales associates will ride with you. If you enjoyed the test drive and want to buy the vehicle, we’re here to help. Although most of our customers pay in full at the time of sale, we do offer financing. The final step is to issues a temporary 21-day permit while we file the paperwork for the actual license plate. Our process is easy. Stop by to check out our inventory of used vehicles today!